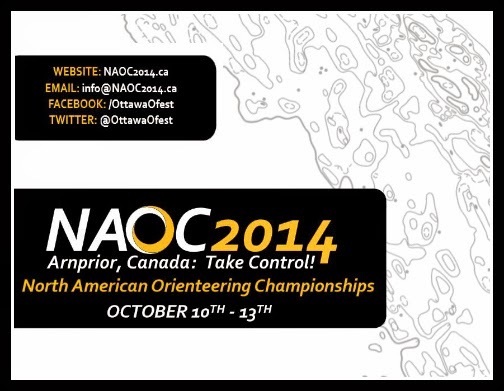 A quick update for spectators and for racers about this weekend’s North American Orienteering Championships in Ottawa. Over 600 are here to compete and there are many club members representing Canada. It is going to be a fun weekend of races on some great terrain. And there are some high stakes involved too! Both Cups will be calculated based on the scores in the Middle (Sat), Long (Sun), and Sprint (Monday), plus the grande finale – the Sprint Relay (Monday) which will have mixed teams of two men / two women. In addition to the US/Canada competition there is more on the line for the elites. The World Champs have a new qualification systems, and an exciting part of it is that the Middle & Long distance North American Regional Champions automatically qualify for the next WOC final in that discipline. So the elite (M/W21) will be fighting for a treasured spot in next summer’s World Championships. Can the Canadian men win both spots? Can the women make an upset and steal one from the Americans?